Living in Atlanta, Georgia and walking around Midtown Atlanta or Buckhead, you know how hard it is to keep your white sneakers cleaned. 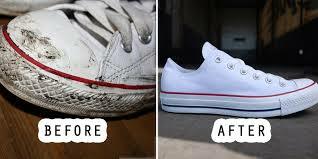 You will accumulate dirt, grass, gum, tar, paint, and a number of unusual stuff on your white sneakers. Have no fear, I have a fools proof way of cleaning your white sneakers. The first thing we will do is to remove the laces and the templates to wash them separately and leave them impeccable. To apply the soap and water mixture you can use a soft cloth or a soft bristle brush, such as a toothbrush. The advantage of the brush is that it will reach any corner and edge of the shoe. With a clean and damp cloth, you can remove excess soap and dirt. If we see that there is still some stain, we will repeat the previous step. The laces can be washed by hand with water and detergent, and otherwise we can put them in a cloth bag or mesh for the washing machine. If they are very dirty, we can put them in water and bleach for a few hours. We must wash the laces by hand so that it does not fall apart. We will also use the toothbrush mixed with soap and water. In this way we will remove all the bacteria from the template and let them air dry. Until they are completely dry you should not put them back in the shoe shelves. Each material needs a specific cleaning. Normally, the classic white sports or Nike sneakers follow the steps above. However, if your shoe is NUBUCK, instead of using soap and water, you can resort to mixing warm water with a few drops of vinegar. This trick is the most effective for the most difficult spots on SUEDE or NUBUCK. How to Clean The Interior Of White Sneakers? The interior of the sports shoes also gets dirty, and more than that, bacteria accumulate due to the use and humidity. In addition to extracting the templates and cleaning them separately, we must take into account the material from which they are manufactured. If the laces are leather, we can make a mixture of warm water with vinegar and apply it with the toothbrush. If they are made of cloth, we will follow the step of the previous point with soap and water. To avoid the smell of the shoes interior, we can also apply baking soda and let it work all night. The next day, we will remove the bicarbonate by shaking the shoe. It is advised to dry the shoes without direct contact with the sunlight. Sports shoes and white shoes, in addition to getting dirty can get a yellowish color due to direct exposure of the sunlight. For the upper part of the shoes, if it is NAPA leather, you can use moisturizer, cleansing cream, toothpaste or a mixture of water with a few drops of ammonia. All of these should be applied together. You can add more cleansing cream depending on the shoe condition. Do you need help in cleaning your white sneakers? 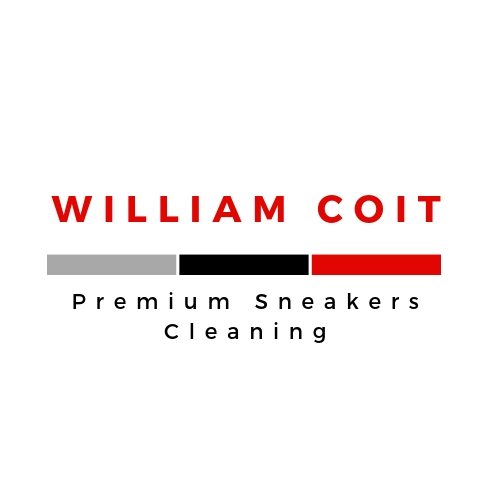 Contact William Coit today at 404-500-6527 or visit our website for pricing at WilliamCoit.com. We’re mobile and offer pickup and drop off service. Give Us Your Dirty Sneakers Atlanta, and we’ll bring them back to as close as possible to their original condition.